Play Some Children's Christmas Games This Holiday Season! There is more to the Christmas season than just buying and receiving presents. This is a time for family and friends of all ages to come together and have fun! If there will be children among your family and friends, then why not plan out a few Christmas-themed games? In fact, the whole family can play these games! You can take just about any game, from relay races to the popular "Pin The Tail On The Donkey", and put a Christmas twist on it in some way. Plan out the games for parties, Christmas Eve and Christmas Day, or you can just invite your loved ones over during the holiday season to play. Here are a few holiday games for the family to play together! The games are appropriate for both children and adults. If there are younger children in the family (such as toddlers and preschool children), you should at least give them the chance to try and play-even if this means bending the rules or rearranging the game a little. The holidays are about the whole family spending time together, right? Candy canes (real or fake) – there should be enough for each team to have at least four. If you are using real candy canes, you may want to keep a few extra ones on the side, just incase any of them break during the race. 1. Everyone playing should form two teams. You can form more than two teams if there are enough people, but there needs to be at least two team. Depending on the family members playing, you can try children vs. adults, one family vs. the other, boys (and men) vs. girls (and women), or just mix it up a bit. 2. Figure out where the race will begin and where each teammate will have to run to before he or she turns around and runs back to the line. You can mark off the areas with a piece of duct tape or a rug. You may not want to use anything that could ruin the carpet or floor, but you do not want to put anything on the floor that could cause anyone to trip either. What you will use to mark off the areas will depend on your home and where in the home you are racing. If need be, you can always come up with a spot to start at and have someone stand at the area where the teammates will need to turn around and run back. 3. Once everyone is on a team and you decide where the race will start and where they will turn around, each team should form a line. The first person in each line will be the first to race, so the teams can decide who they would like to be first, second, third, forth, and so on. 4. The first person in each line will then hold a candy cane between their fingers. This should ONLY be between their fingers, and not their thumbs. 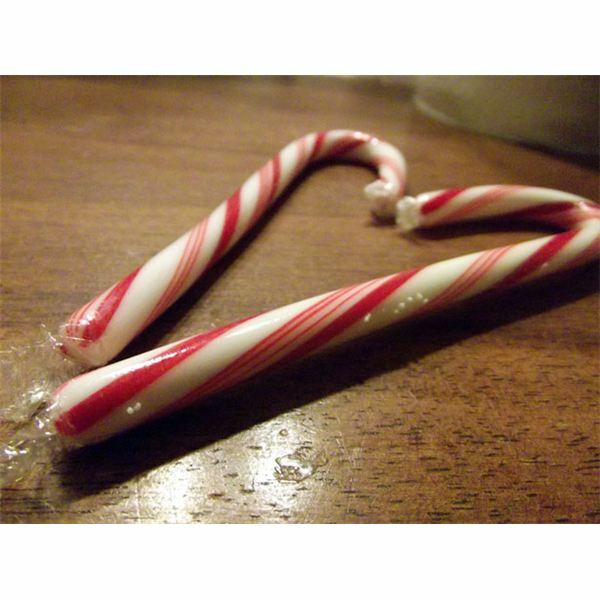 The part of the candy cane that curves should actually be hanging off of their fingers. This gives the race a bit of a challenge. If you have a toddler or preschool child (or around that age range) playing who absolutely cannot do it, you can bend the rules slightly so that they will have a chance to play. But see if they can hold the candy cane between their fingers first. 5. The child or adult with the candy cane will race all the way to the marked off area, turn around, and race back to their line. Remember, they must race with the candy canes between their fingers (and not their thumbs). 6. When they get to their team line, they will use only their fingers to exchange the candy cane with the next teammate in line. That teammate will then do the same; race to the marked off area and back to exchange with the next teammate in line. 7. The relay race will continue until there is one team who has not dropped all of their candy canes onto the floor. Laundry basket or large gift box – you can use another type of basket or box if you would like, as long as you can toss Christmas cards into it. 1. First you will need to gather together some Christmas cards. This can be cards that you bought from the store yourself or cards you have received in the mail. You may even decide to buy a cheap box of cards JUST for the game. 2. Have everyone line up in a single file line and place the box or basket a few feet away. You can change up the distance of the basket or box depending on the person who is tossing the Christmas card. An older child, teenager, or adult may be able to toss the Christmas cards from a few feet, while a younger child or toddler may need the basket or box to be moved a little closer to them. 3. Everyone will take turns tossing the Christmas cards into the basket or box. Since Christmas cards come in different sizes and styles, this game will be easy with a bit of a challenge. It will not only be a bit of a challenge for the children, but for the adults as well. 4. The winner of the game will be the person who tosses the most Christmas cards into the basket or box. Cardboard cutout of Santa Claus – this can be a cutout of the Santa's whole body or just his head. You can check stores that carry Christmas and party supplies. If you cannot find a cardboard cutout, then a large print-out of Santa's head will do. Santa Claus' beard- you can cut it out of a photo of Santa (should be similar or the exact same as the cutout or print-out of Santa) or draw it on construction paper or poster board and cut it out. If you want to add more details to the beard, you can glue white cotton balls all over it (but this is optional). Scissors for cutting out the beard. Self-adhesive foam – this should be placed on the back of Santa's beard when everyone is ready to play. A blindfold, such as a bandana or an eye mask – if you can find the blindfold in a holiday theme or holiday colors, that would definitely fit in with the game. Note: An adult should be the one to do all of the cutting and gluing rather than a child. 1. Have everyone who is playing to line up and place the self-adhesive foam on the back of Santa‘s beard. 2. The player who is taking a turn should hold Santa's beard in his or her hands. 3. Blindfold the player and spin him or her around two to three times. 4. When you are done spinning the player, point them towards Santa and have them try to place the beard on his face. Of course they should be trying to place the beard on his chin, where it would go. When they are done, let them remove the blindfold to see where they actually placed it. Be sure to keep track of where the beard is placed during each turn. Note: If there is a child playing who is too short to reach Santa's face, you can move it down some so that they can reach. 5. Pull the beard off and repeat directions two through four for each person who is playing. 6. The person who places the beard as close to the correct spot as possible is the winner of the game. Cardboard cutout of a snowman- you can check stores that sell Christmas decorations and party supplies for the cutout. You can also draw the snowman and cut it out of a large piece of cardboard. If you do create your own, you can draw and decorate it’s hat and scarf if you would like. White beanbags, small white balls, white hacky sacks, or a Ziploc bag full of marshmallows – they are going to act as "snowballs". You will need at least three. 1. When you get the cardboard cutout of a snowman, use the scissors, box cutter, or another tool to cut a hole in his stomach. The hole will need to be large enough for everyone to the "snowballs" through. This is a step that you should do, as it may become dangerous for children and we do not want the Christmas games to become hazardous to their health and well-being! 2. Set up the cardboard snowman and have everyone line up a few feet away. One or two people can take turns holding it up, or it can lean up against something (such as a wall or leaning the edges of the cutout against the edges of two chairs). Smaller children may be able to stand a little closer to the snowman. 3. Once the cardboard cutout is ready, everyone playing will take turns throwing the "snowballs" through the snowman's stomach. 4. The first person to throw three "snowballs" through the snowman's stomach will win the game. Whether you are playing at a Christmas party, or on Christmas Eve and Christmas Day, you should try to plan out the holiday games for the family in advance. Buy the materials and set up any of the cardboard cutouts you are using a few days before game time. This way you can set up the games the morning everyone is due to come over and have them ready to play when everyone is there! Regardless of how many gifts are handed out or what's for Christmas dinner, everyone can have fun playing these children's Christmas games! Author's ideas from hearing about various holiday games in the past. Photo courtesy Public Domain Pictures.net.